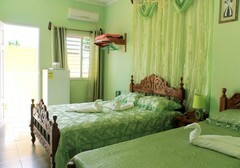 El Chino hostel is a private house of a family that has prepared a heated room for foreign tourists. It is located in the Callejón del Aguacate, very close to Carrillo Square, the most central shopping centers and the main tourist attractions of the city. 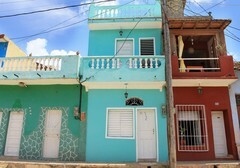 3 blocks from the Plaza Carrillo, 3 blocks from the Colonial Train Station that gives service to Valle de los Ingenios. The room that is rented is on the second level of the house, has capacity for 3 guests. It also has a wall fan and a window. The bathroom is located inside the room and is for the exclusive use of guests. It has permanent cold and hot water service and is provided with everything necessary for personal hygiene. The house provides wifi internet service. 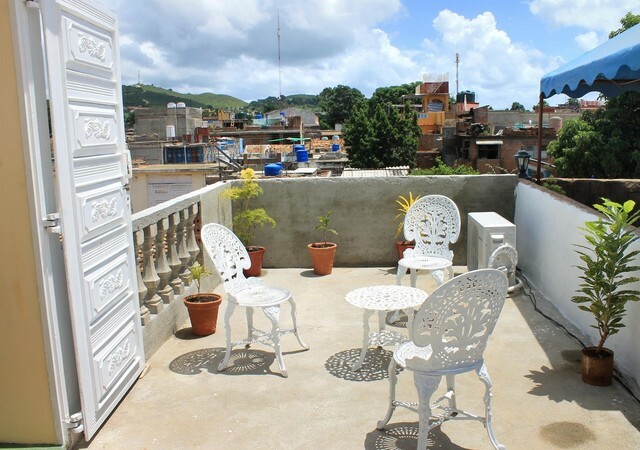 The room has access to a private balcony overlooking the street and a private terrace with chairs and tables to enjoy refreshing drinks and refreshments, as well as the valuable company of the hosts if you wish. 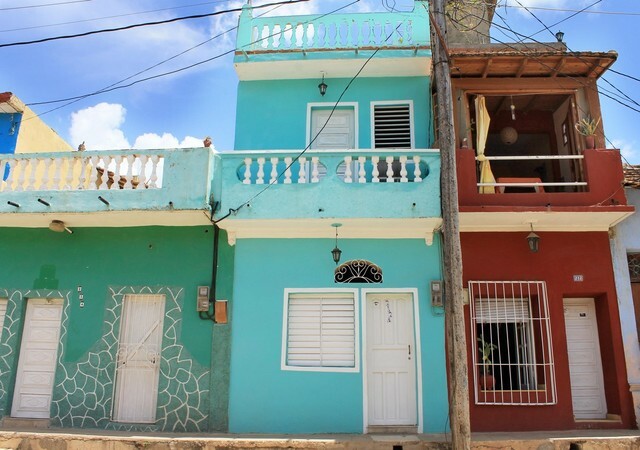 With the hosts you feel the kindness, security and confidence typical of a Cuban family. They help you in the management of city guides, to make excursions, horse rides and everything you need to know Trinidad and its surroundings. Reserve the available room of the Aleyce house. If you wish, inform the family of your arrival time and it will be awaited at the point of arrival. Address : callejón del Aguacate # 212 entre calle Mercedes y calle San Procopio.